Petrol and diesel prices have been lowered for the fourth straight day in Delhi, Mumbai, Chennai and Kolkata. In Delhi, petrol now costs Rs 78.20 a litre, and diesel costs Rs 69.11 per litre. Prices for petrol and diesel were cut by nine paise on Saturday. The fuel prices have been lowered for fourth straight day in Delhi, Mumbai, Chennai and Kolkata. In Delhi, petrol now costs Rs 78.20 a litre, and diesel costs Rs 69.11 per litre. On Friday, price for petrol was Rs 78.29 per litre, while diesel price was Rs 69.20 a litre in the national capital. 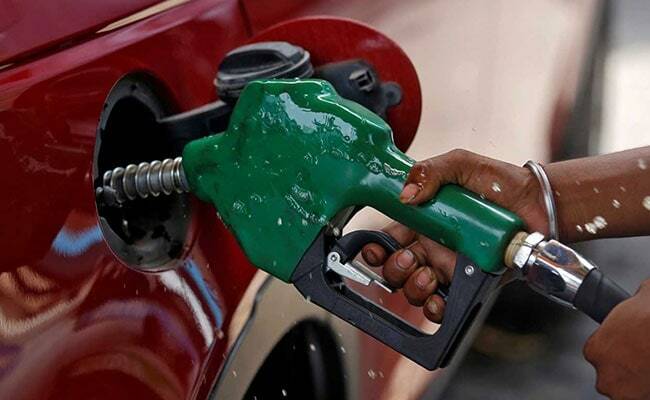 The revised petrol prices in other metro cities are - Rs 80.84 in Kolkata, Rs 86.01 in Mumbai and Rs 81.19 in Chennai. 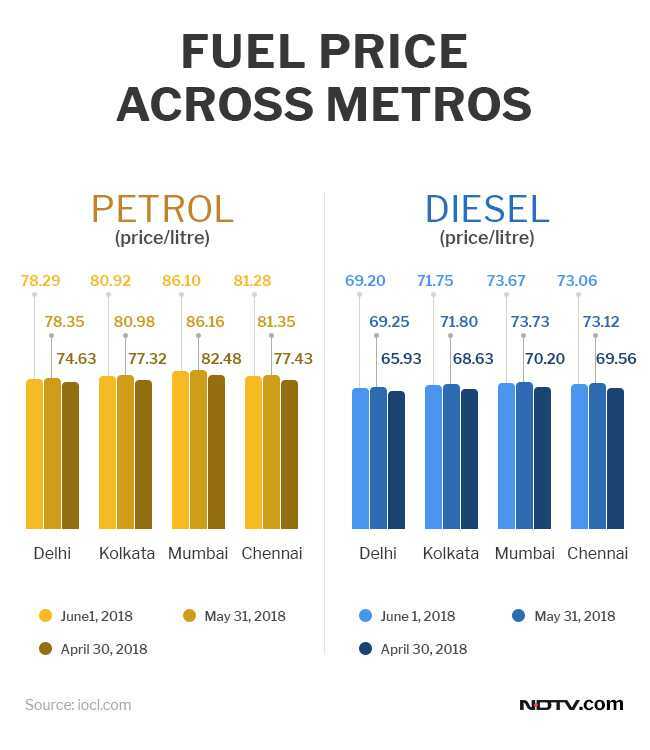 The revised diesel prices in other metro cities are - Rs 71.66 in Kolkata, Rs 73.58 in Mumbai and Rs 72.97 in Chennai. Petrol and diesel prices have been reduced only in the range of 11-20 paise per litre in the four metros in these four revisions. In Kerala, petrol and diesel prices came down by Re 1 following the state government's decision to reduce cess. While petrol sold for Rs. 81.40 per litre and diesel stood at Rs. 74.05 a litre. Kerala's move on fuel cost is expected to put further pressure on other states as well to reduce taxes, which are mostly ruled by Prime Minister Narendra Modi's Bharatiya Janata Party. On Friday, the price of Liquefied Petroleum Gas or LPG were also increased by Rs. 2.34 for subsidized and Rs 48 for non-subsidised cylinders. The new price for subsidised cylinder in Delhi is Rs. 493.55, while that of non-subsidised cylinder is Rs. 698.50. The prices of LPG were increased in Kolkata, Chennai and Mumbai as well.